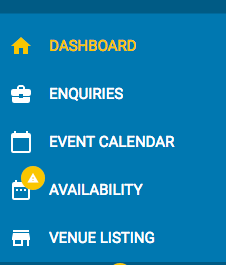 Add high quality images of your venue to let customers know what your venue offers. To add cover images, scroll down to 'photos' and click the blue image add button. You will be prompted to add high resolution (1920px wide minimum) landscape cover images and one feature image. The feature image will be displayed in search results so ensure that it truly represents your venue. To add space images, select 'Function spaces' and click on the name of the space that you'd like to add photos of. 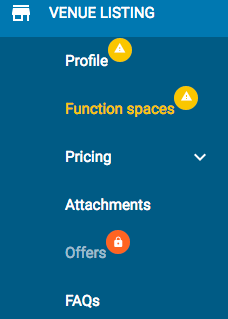 Scroll down to 'Photos' and click the blue image add button. You must upload at least four images of each space to accurately represent the venue. You can click and drag the photos to rearrange the order they appear. Don't forget to press save! Click on the trash icon to delete. Need some tips to help you update your content and improve your score?